Product prices and availability are accurate as of 2019-04-18 03:06:54 UTC and are subject to change. Any price and availability information displayed on http://www.amazon.com/ at the time of purchase will apply to the purchase of this product. 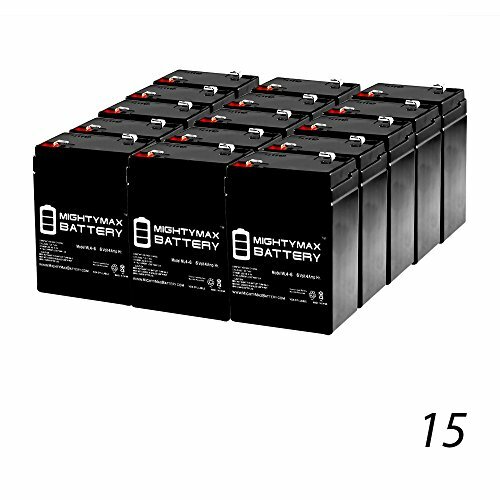 ML4-6 SLA is a 6V 4.5AH Sealed Lead Acid (SLA) rechargeable maintenance free battery. Pack of 15 Dimensions: 2.76 inches x 1.85 inches x 4.17 inches. Terminal: F1. Listing is for the Battery only. No wire harness or mounting accessories included. 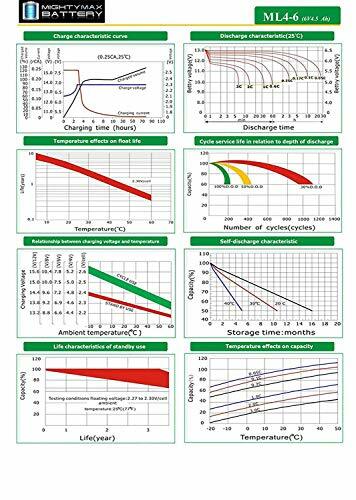 SLA / AGM spill proof battery has a characteristic of high discharge rate, wide operating temperatures, long service life and deep discharge recover. Rechargeable battery that can be mounted in any position, resists shocks and vibration. Long lasting high performance in high and low temperatures Backed by a 30 day refund policy and full 1 year warranty.